Here are couple of my favorite sides that you can’t go wrong with for your 4th of July Barbecue! 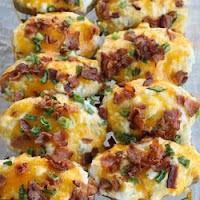 These are delicious and that’s coming from someone who is not a huge fan of baked potatoes. 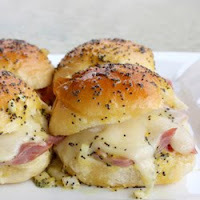 These are great for the kiddos and surprisingly have a ton of flavor. Fresh, light, and totally addicting. It takes a little chopping so make sure you have time to prep. 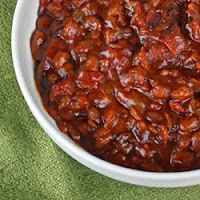 What’s a BBQ without baked beans? I would triple this recipe for a large crowd. 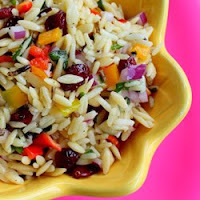 This can be made ahead of time and feeds a crowd. 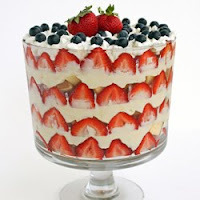 Layers of pound cake, strawberries, and cheesecake pudding. Salty pretzel crust with sweet cream cheese and Jello. Light and refreshing. 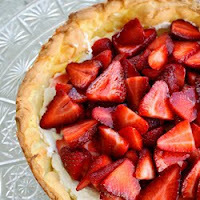 Strawberries with a creamy center with a hint of orange. Flag Striped Cupcakes that will make the kids ooh and aah when they bite into them. 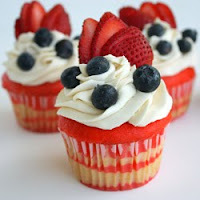 I made the flag cupcakes on the 4th! They were YUMMERS! I forgot to buy the fruit to top them with,but they were still good. I alternated blue adn white frosting and put red sprinkles on them all. The lemon taste made them so light and fluffy! The trifle is SO pretty! 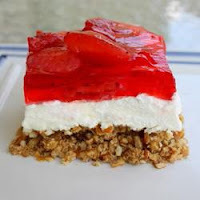 The jello pretzel salad is one of our favorites! Oh, these all look fabulous! I think you might have solved my problem of what to take to the family party this year. I hope it’s okay if I link you up on my site!